***This post is in sponsorship with LIDL. While I was compensated for this post, all opinions are my own. I only partner with brands I truly love and use. I appreciate your support! Heidi Klum’s new Fashion Line Available at LIDL September 21st. Guys!! It’s finally almost here! I’ve been talking about this collection for a few weeks now and I’m going to tell you how to get your hands on it THIS WEEK! This is a long post, but I wanted to explain all about what LIDL is, (rhymes with needle) so you can better understand what the product is and why it’s being sold exclusively at LIDL stores starting September 21st. First things first, I really want to explain more about LIDL because while it’s a huge grocery chain internationally, it’s only recently come to the United States in the last few months. If you’ve heard about them, or happen to live near one that just popped up, you’re probably wondering what it’s like, what can you expect, and how does it compare to other grocery stores. I had the SAME questions so I actually did a lot of research and went into the store myself to see. Here’s what I found out. LIDL is unlike any other grocery store I’ve seen here in the states. When you walk up to the store you will notice huge windows surrounding the building. After looking into it, I found that LIDL designs it’s buildings to let lots of natural light in, to help cut down on overhead costs and save you money. When you walk into the store, you’ll notice LIDL has only 6 aisles, however they still manage to carry everything you need in a grocery store. Instead of offering 100 different kinds of ketchup, LIDL offers you a name brand ketchup, and their brand of ketchup. They don’t fill the shelves with thousands of things to choose from, you get in, get what you need, and get out. Major. Timesaver. To be completely honest, I have always been a name brand shopper. I’m comfortable with brands I know, and Blaire is always picky about it to. She will love one apple juice but if it’s in a bottle instead of a box she just won’t have it. When I first when into LIDL myself, I kept an open mind and actually tried a lot of the LIDL brands, and get this, I ACTUALLY FOOLED BLAIRE WITH THEIR APPLE JUICE. Ha! Their brand was in a little yellow box just like MOTTS and Blaire had zero idea it was any different. My husband and I also decided to try LIDL’s version of RedBull. See below for pic, as its super easy to tell what the product’s competitor is. Honestly, it was ridiculously close in flavor and if the drink was in a Red Bull can I probably wouldn’t have noticed the difference. Oh, and it was $0.88 versus the $2.50 for an 8oz can… not even kidding! I snagged the groceries I needed for a party that evening including, 6 bags of jalapeño, 2 rolls of pork sausage, paper plates, bananas, cream cheese, pineapples, SEVEN BOTTLES OF WINE (I could write an entire post about their wine but I won’t, just trust me its AMAZING and it starts at $2.50), shredded cheese, boxed apple juices, 2 energy drinks, and even a couple more things and my total was…. $60. I promise you it’s worth a trip in to see what it’s all about! 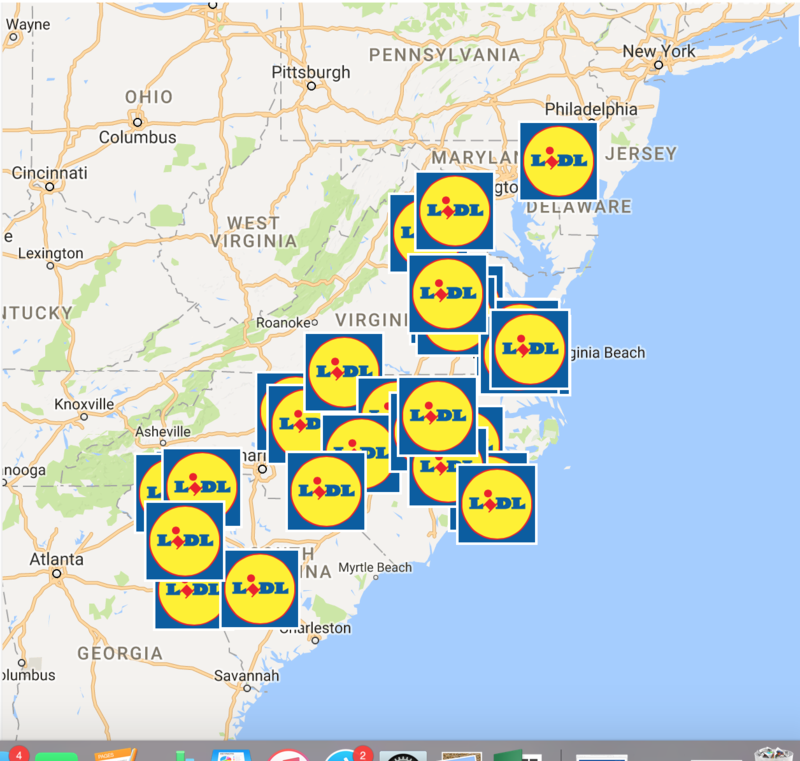 Stores are popping up all over the east coast, but you can go HERE to see if there is a LIDL near you. WHAT DO HEIDI KLUM & FASHION HAVE TO DO WITH LIDL? By now you’ve likely seen my posts wearing several pieces from the new collection. I went to New York during fashion week to see the runway show and learn even more about the line. I am so excited to share with you these pieces and several looks featuring them below. I don’t have exact price points yet, but everything is extremely affordable and surprisingly versatile. From girls night, to date night, and even to work, her pieces mix and match perfectly. 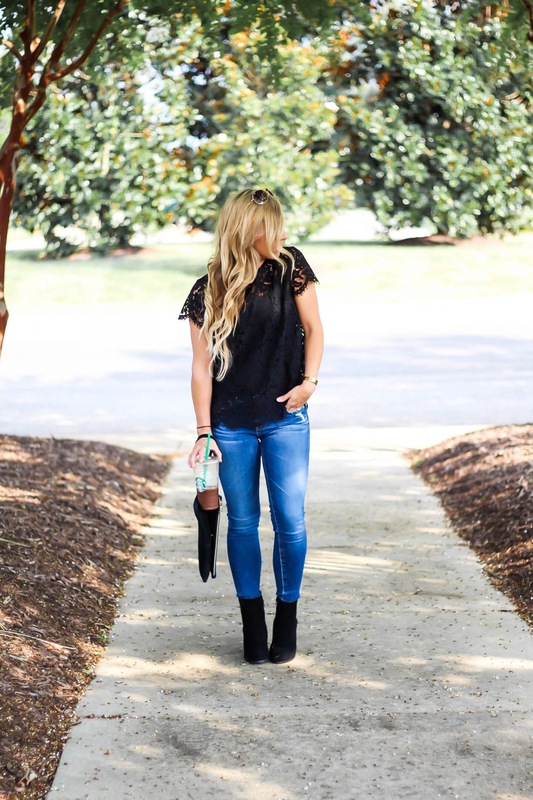 I’ll link some other blogs for you at the end of this post to show how others are styling her line as well. Esmara by Heidi Klum is the name of this new collection (about 70 pieces here in the US) that will be available exclusively at LIDL starting Septemeber 21st. Heidi Klum was the perfect partner for LIDL as she is german model, and one of the biggest fashion icons of all time. In the middle of every LIDL grocery store is a non-grocery section called LIDL SURPRISES. These are big bins with boxes and boxes of surprises, with things from tools and gadgets to clothing, and once these goodies are gone, they’re gone forever. This includes Heidi’s line, Esmara by Heidi Klum. Things will come in packages that have the size and a picture of the item on the front, so when you’re shopping at LIDL – here’s what you’ll see. 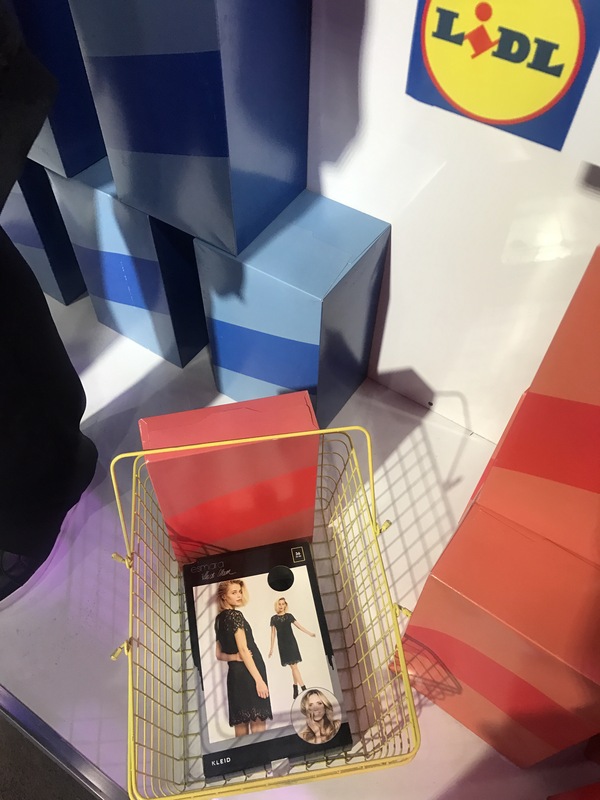 These pictures were taken at the LIDL x Heidi Klum event in NYC but as you can see, it’s set up to resemble the grocery store, and that is an actual sample package of what you see when you shop the LIDL Surprise Section. Check out UrbanBlonde.com to see more exclusive pics of the event! As I mentioned above these pieces are very affordable! I will list the prices below under the looks so you can see for yourself. 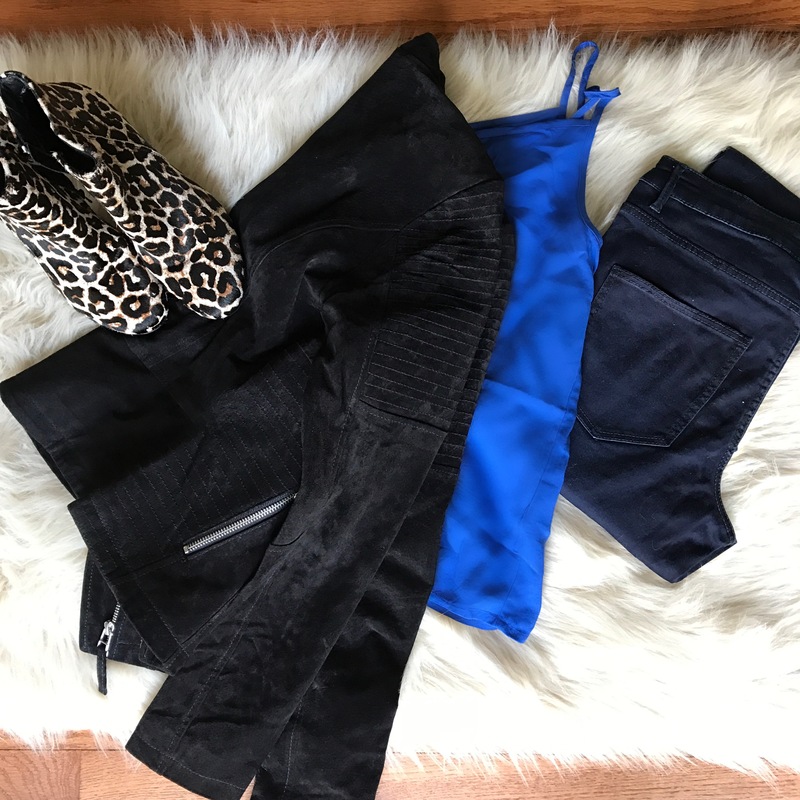 My favorite pieces include the suede jacket, which is a totally dupe for one I spend $200+ on earlier this season, the leopard print booties, and the super flattering and inexpensive skinny jeans (see how to save 15% below!). I have found things to be pretty true to size, but if you have questions just shoot me an email at accordingtoblaire@gmail.com or message me on instagram. 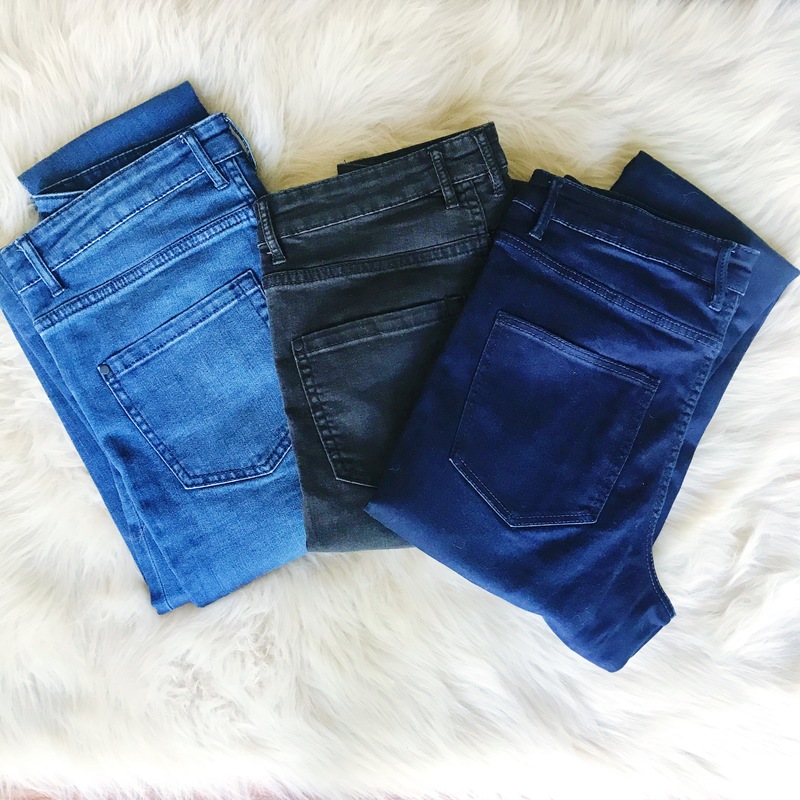 to get 15% off of any skinny jean: follow @lidlus on instagram, message them with ‘according to blaire‘ and they’ll give you a coupon to shop her ultra-flattering skinny jeans in store! Right before heading to our first event with LIDL, where we got to meet some big time international bloggers, members of the LIDL team, and see some more pieces from the line. The line is full of leopard print (the hottest trend of the season! ), metallics, sequins, cobalt blue and classic black. COME SEE ME & SAVE! If you’re local come by the grand opening of the Henrico store on the launch date, September 21st! I’ll be there with the LIDL team and would love to meet you and help you shop the collection! Don’t forget to send a direct message to @lidlus on instagram, mention According to Blaire to get your coupon! The line looks so cute! And how cool is that store?! If only they had them in NY! Thanks Danielle! I wouldn’t be surprised if they were headed your way! I didn’t know she had a fashion line, but how awesome! All the pieces look amazing! 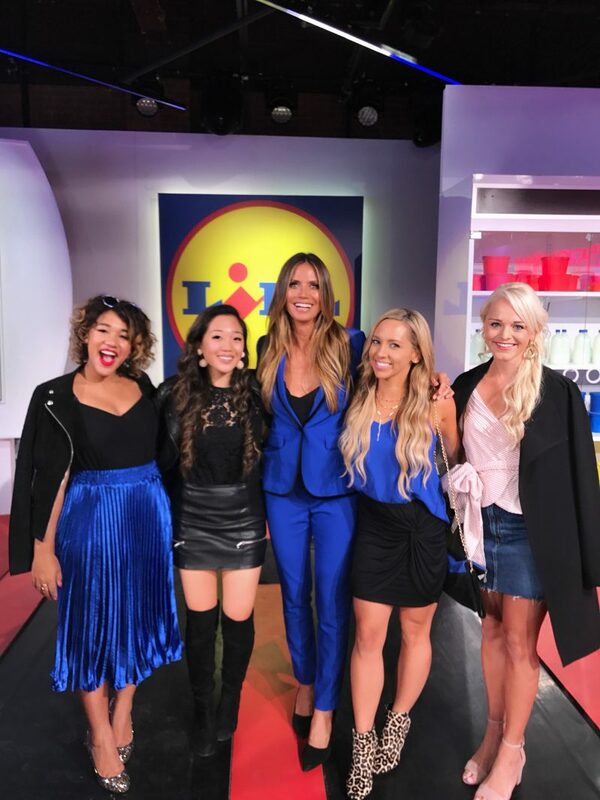 I had so much fun with you at the Lidl show! Her line is the cutest! Thanks for coming with me!! It was so fun! <3 miss you already! AAH I still can’t believe you got to experience NYFW with Lidl! Still kinda jealous too 😉 But I’m glad you had so much fun and omg girl I got to check out Lidl while you were away and I’m obsessed. I saved so much money on my grocery shopping. Didn’t you love it!! So glad you went in to see, it’s so unique and the wine is the best! Wow, I didn’t know she had a fashion line. I need to check it out asap!! 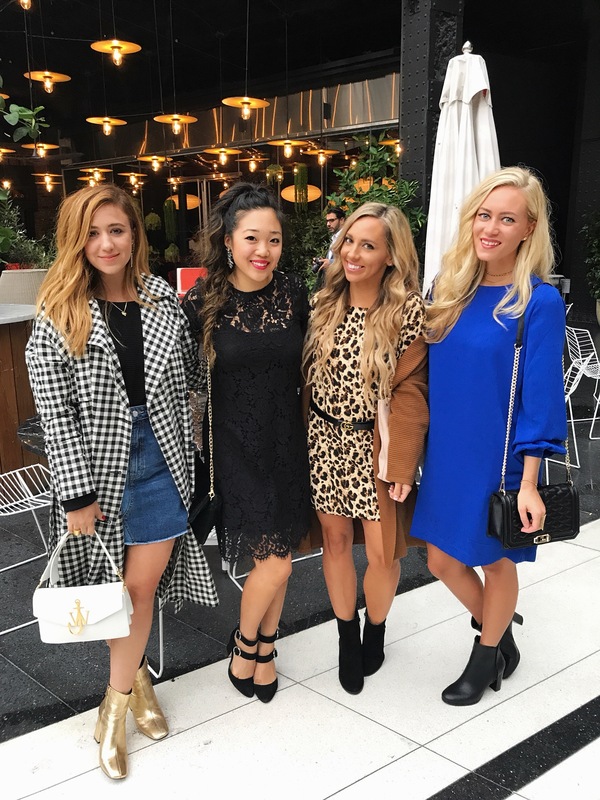 Your NYFW experience looked like so much fun too!! Thanks Kristin! It was a jam packed few days but so fun! Glad you love the line too! Thanks Gita! I know it was so crazy!! OMG her line is going to be amazing! 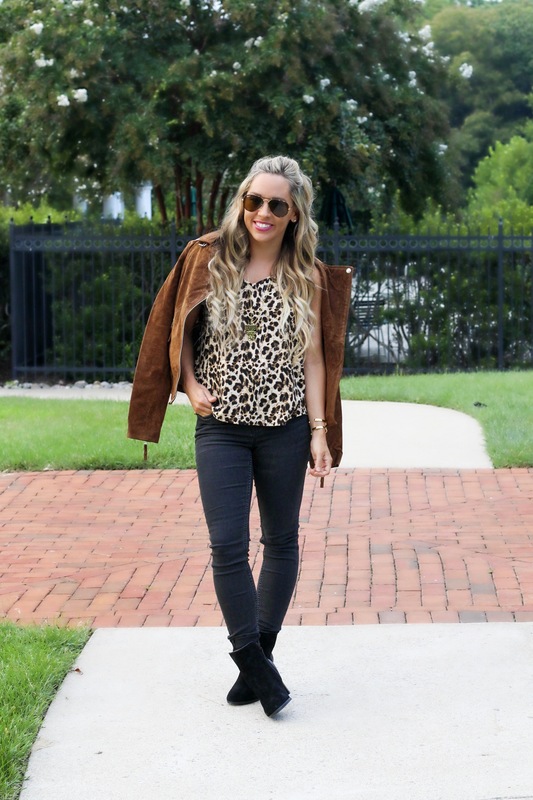 I’m loving all of the leopard print – so great for fall! 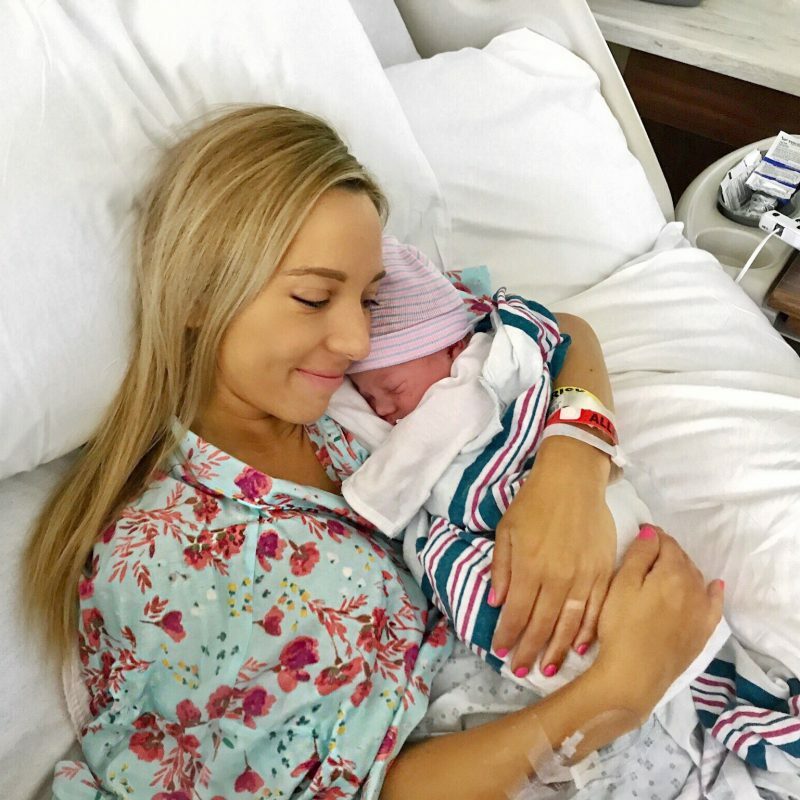 Look at you twinning with Heidi! You all are so gorgeous in cobalt blue! Ha thanks girl! Ya know, just a foot shorter… lol but it was so cool! I didn’t know she had a fashion line! So cool, I’ll have to check it out! Such cute pieces and super affordable! I love the store set up. Would love to check one out if they come to CA! Oh ya! Hopefully they will head your way soon! Thanks girl!! It’s so cool I’m glad it’s here too! This sounds soo awesome!! I need to check out her line! Thanks babe! Let me know what you think! How amazing is this!? I had no idea she was doing something like this and I love her! Loving all the leopard and cobalt blue! Such a fun, unexpected combination for fall. gah it looks so amazing!! Girl. This is seriously just amazing. What an awesome opportunity! I hope to be doing things like this one day. Oh my gosh girl! I felt like i wasn’t worthy to be there but had an amazing time!! Thank you so much for your support! Love this line so much! It’s gorgeous!!! Thanks for sharing all of this! OH MY GOSH, BLAIRE! You got to meet HEIDI!!???! That is amazing and you are ROCKING her looks! Can’t wait to shop the collection tomorrow! #getitgirl! OMG how fun!! I didn’t know that she had a line! You girls look so great! How cool is this! I love the pieces and the price point is amazing!